Are you looking for a gentle, friendly Harrisonburg dentist for your entire family? You’re in the right place. We treat adults, kids, seniors, people with special needs, and people afraid of the dentist. We treat the whole family! 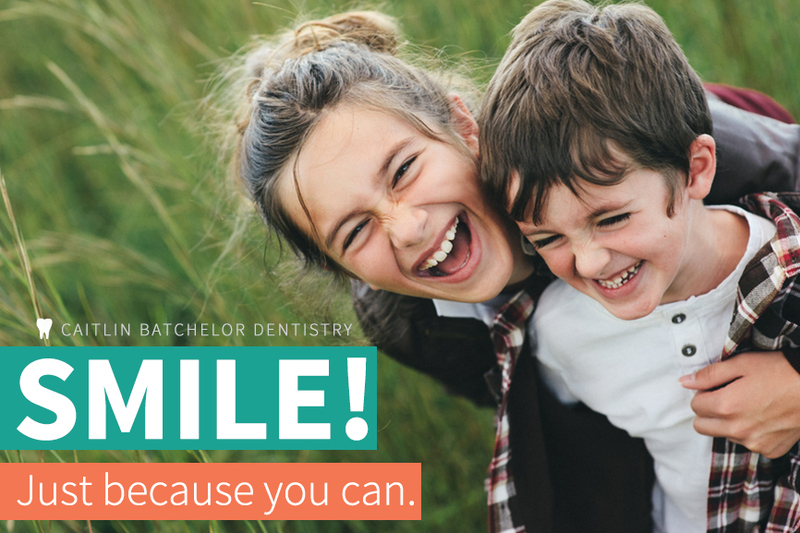 The entire team at Caitlin Batchelor Dentistry is dedicated to helping people and building lasting relationships, going beyond “fixing teeth.” As a Harrisonburg dentist with a patient-centered focus, we offer an array of services to address any of your dental needs or concerns - simple or complex. Your health is our primary concern, but we know you also want your smile to look great. Whether you want whiter teeth, natural-looking fillings, beautiful options to replace a missing or damaged tooth, or a same-day appointment when your tooth hurts, you can count on us. We offer everything from preventive care and cleaning services to dental implants and dentures. We even provide services you may not expect from a dentist, like devices to help with sleep apnea, and 3-D technology. If dental visits make you nervous, talk to us about NuCalm, a completely drug-free relaxation method. You’ll feel relaxed throughout your dentist appointment! We provide financing options with Care Credit and also offer an in-house dental health savings plan. Porcelain veneers, crowns, or bridges? To be able to chew again? A replacement tooth (or several)? A filling, crown, or bridge that looks like a real tooth? A solution to your grinding your teeth or jaw pain? A solution to your snoring? Sedation to help you relax? A fix for a broken or chipped tooth? Relief from a painful tooth? Then you need emergency dental care. Contact our Harrisonburg office today to see how we can help you. If you need a new dentist in Harrisonburg, VA, you've come to the right place. Dr. Batchelor works with patients from throughout Harrisonburg and the surrounding areas, including college students from JMU! Whether you need general, cosmetic, or restorative dentistry services, we're here to help!